FlipNotes | Helping you navigate the weird, wonderful world of gymnastics. Today’s guest blogger is Darrin Steele. He recently sent an email to the owner of the gymnastics club his daughter, Kalyany, trains at sharing his insights and thoughts as a parent in the brilliant sport we call gymnastics. While his thoughts are particular to Aerials, they are truly universal and could apply to any trustworthy club. Darrin Steele is a two-time Olympic bobsledder. He was part of a four man bobsled in the 1998 Olympics and a two man bobsled in 2002. He has been the CEO of the United States Bobsled and Skeleton Federation since 2007 and is also involved with Autism Speaks and Project Play. With his Olympic background and his daughter now competing at the elite level, here are the thoughts he would share with any new gym parent, but I think they are valuable to any parent of an athlete. Success at one level doesn’t automatically mean a gymnast is ready to advance to the next level. Aerials does a fantastic job of ensuring that their gymnasts have the essential fundamentals necessary to safely advance to more difficult skills. Every time I see a level 9 or 10 from other clubs perform difficult skills with poor technique, I appreciate the Aerials process. A few years ago I learned about a girl who landed on her head during a bar routine and became paralyzed. That is one of the risks gymnasts face and the greatest fear for us parents. The one thing that helps me sleep at night when it comes to that fear is the unwavering commitment Aerials makes advancing girls only when they are ready. Kalyany did not move up to level 5 (now level 4) with the other girls even though I thought she was more than ready. We didn’t realize it at the time, but that allowed her the experience of being one of the top girls at her level. 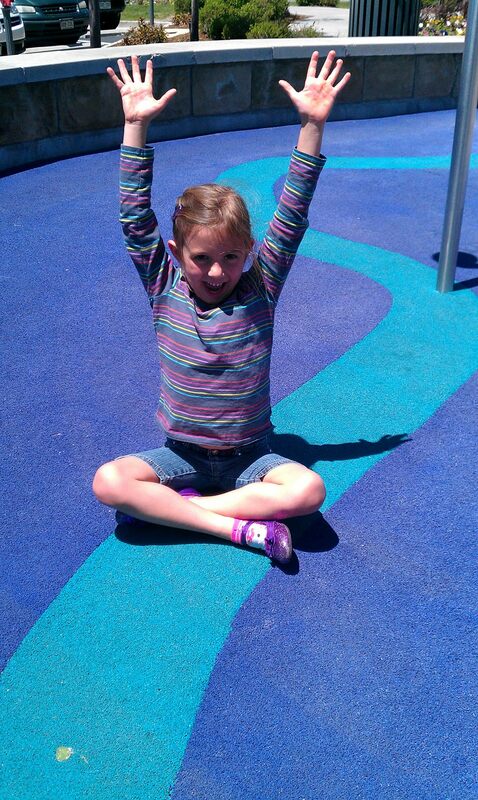 It helped her confidence and allowed her to be a leader for the first time. In hindsight, being held back was one of the best things that ever happened to her. She eventually moved past every one of the girls who moved up before her. This sport is a marathon, not a sprint. Be a parent of a girl who does gymnastics, not a gym-parent of a gymnast. Identity matters. Research shows that the more a girl identifies as a gymnast, the higher her likelihood of her burning out. Gymnastics is what she does, not who she is. Make sure she has other areas of focus. Those other areas will be crucial when she deals with injuries or set-backs, and they all deal with those from time to time. A parent of a girl who does gymnastics is proud of her commitment, sacrifices and work ethic. Gym-parents have their identities connected to the success of their gymnast. Research shows that when parents emphasize competition success, the athlete is more likely to lose enjoyment, become averse to competing and will be more likely to drop out of the sport prematurely. When a gymnast performs poorly and looks out at her parents’ faces in the crowd, she is seeking comfort from her disappointment. If she sees that her parents are devastated, she will get the message that her performance is responsible for her parents’ emotions. Her drive to succeed should come from within and the best message to give her is that her parents love watching her compete, regardless of how she does. Anything else distracts her and takes away her enjoyment. It can be a devastating feeling to you watch your daughter fail when you know how hard she has worked. Too bad. Work on your poker face, because she needs you to fake it. Most gymnasts will leave the sport before college becomes a reality. We all think about it and hope that this expensive sport will lead to a college scholarship. It’s OK to hope it or think it, but keep it quiet. It only increases pressure on the girl and decreases the enjoyment. The investment you are making in your daughter should be the benefits she is getting from increased physical activity, development of work ethic, goal setting, character building, working as a team, overcoming obstacles, physical literacy and confidence – not college. Pick your battles when it comes to complaints about coaches. Coaches in youth sports are not perfect. Aerials has great coaches, but they are still human and they will make mistakes from time to time. If you find a coach that does 80% right and 20% or less wrong, you have a good coach. The vast majority of [problematic] situations should be treated as learning opportunities for the athletes. Teaching them how to handle [less-than-perfect] situations prepares them for life and sends them the message that you believe in her ability to handle her own challenges. In 10 years with Aerials, I only felt the need to complain about a coach one time. I didn’t go to the owner, I didn’t try to get the coach fired and I never told my daughter about it. I treated it as a learning opportunity for the coach and contacted that person directly. It’s a respect issue and the coaches have earned the right to understand the parents’ point of view when there’s an issue as well as the right to be heard since there is always more to the story. Yes, we pay a fee for a service, but there is so much more on the line than just a service. 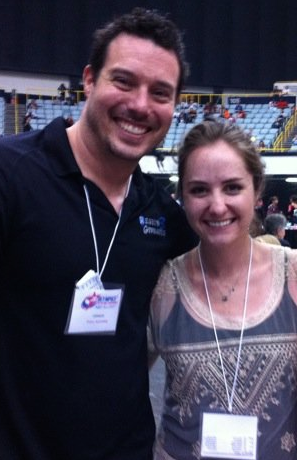 These coaches become very important in the lives of our girls and they do far more than teach them gymnastics skills. We are building a partnership in the development of our daughters and when that partnership is developed and protected, our daughters benefit. Focus on the positives and the real competition. Golfers of any ability understand that even when they have a bad round, the good shots they had keep them coming back. The same is true for gymnasts. It doesn’t matter how bad a practice is or how poorly they perform in a competition, there are always “good shots” to be proud of. Sometimes we have to help them to focus on the positives rather than the negatives. The worst thing we can do is help them focus on the mistakes. Mistakes will be addressed in practice by coaches. Our job is to make sure they are having fun and focusing on the positives. Gymnastics is, arguably, the hardest sport in the world. Okay, I’ll give you that it’s one of the hardest sports in the world, but I will take on any middle-aged, football obsessed man when he argues otherwise. And my reasoning is simple: gymnastics only gets harder. I recently saw one of those inspirational fitness posts on pinterest that said, “It doesn’t get easier, you just get better.” While that may be true for soccer, or football, or baseball, or basketball, gymnasts get no such break. Sure, a cartwheel on beam seemed impossible when you were six and it’s like sleepwalking now, but the sport simply gets harder with you. You got your round-off back handspring? Great, now add a back tuck. Mastered the tuck? Make it a layout. Layouts are easy? How about a full? Now a double full. Two-and-a-half and add a punch front out of it. Do you get my point? And that was literally the progression of one possible tumbling pass on floor. When a basketball player masters a free throw, do they move the hoop higher? (It’s called a hoop, right? I’m basketball illiterate.) Do they make him scoot back a foot? Make him do it behind his back? No, I’m pretty sure he gets to be awesome at free throws forever. My point is this: gymnastics takes a mental tenacity that very few sports require. And at a much younger age. What does this have to do with gymnastics? I’m glad you asked. Sports take time. Blood, sweat, and tears. The very obstacles that modern day parents are under pressure to alleviate for their children. Gymnastics, the hardest sport in the world (see how I brought that full circle? ), is a sport that your child will never master. Because there is always a way to make that newly mastered skill more difficult. Then there will be skills that take your gymnast years to learn, even though they only took her teammates a few weeks or months (go ahead, ask me about my blind change on bars). The current generation’s need for instant gratification will be met with shocking resistance, and according to those in the know in the sport, it’s beginning show. The more I have thought about this [the changes in today’s athletes], the more I realized this is why I was ready to retire from the day-to-day coaching in my gym. It wasn’t that we lacked talented gymnasts but it was because they seemed to lack the desire to work through whatever it took to accomplish their goals — working through pain, dealing with disappointment, and being motivated by failures instead of avoiding them. As I have aged I have looked at my time differently; time is more of an investment where it used to be something I had a lot of. I was feeling more and more like the time I was investing in the girls was no longer the best use of my time. Coaching the coaches, on the other hand, has rejuvenated my love of teaching and I continue to feel inspired to do so. That is obviously not to say that this is universal amongst every gymnast competing today, but the pace of modern life has changed things for modern athletes. There are no shortcuts in gymnastics (or any sport) and if failing at a skill after trying it will keep you from trying again, you will not succeed. Recently, an Olympic gymnast came to our gym to spend an evening with the gymnasts and share some inspiration. She mentioned that at one point in her career as an elite she was trying to master a new skill on bars and made herself do it 50 times at every practice. 50 times! I can’t think of any skill I did 50 times in one practice. And even with that repetition, it took her a year to get it. 50 times per practice for a year before she could do a skill. Nothing could be further from instant gratification. The holidays are coming up, which means more time at home, maybe purchasing that floor beam or mat that your gymnast has been begging you for, and being asked to watch whatever skill they may or may not be learning on your new home equipment. Or maybe you’ve just watched practice a few times and you know their legs are supposed to be straight on that layout on trampoline (which you conveniently have in your backyard). Your daughter always struggles to point her toes on [insert any number of skills here], and it’s an easy fix, right? Your gymnast does gymnastics at home. All the time. In every room. And you’ve watched enough gymnastics to know that certain things she’s doing are incorrect. So how do you make these corrections at home? You don’t. Let me repeat that. Do. Not. Coach. Your. Child. At. Home. Nothing will make your child’s coach cringe internally more than hearing that you worked on x, y, or z at home. You are not her coach. Don’t do it. Don’t even tell her to point her toes. The bottom line is that gymnastics is your daughter’s (or son’s) sport. She puts in the work at practice, she feels the pressure at every competition, and all those little mistakes you see that you’re sure you could fix if they’re so obvious even you see them? Yeah, her coach is trying to fix them. I promise. Being a gym mom or dad does not qualify you as a coach at home. I would know because my own parents were, in fact, elite gymnastics coaches at the same time I was making my way through the optionals program at our gym. In fact, if you followed gymnastics in the 90s, you’ve probably heard of my parents, Tom and Lori Forster. They had gymnasts on World teams, Pan American teams, winning the American Cup, the first alternate to the ’96 Olympic team; they were interviewed on 60 Minutes, had an article about them and one of their gymnasts in Vanity Fair, and those are only the things I remember. What I’m telling you is that my parents were possibly the most qualified parents in the world to coach me at home. We had a trampoline in our backyard. It would have been so easy to have me do a few drills to help with my tumbling. My dad is currently one of the top uneven bar coaches in the country. Gymnastics clubs and competitive regions fly him all over to give lectures to their coaches about how to coach bars. Do you know whose worst event was bars? Me. Because despite having one of the most excellent coaches on the planet at my disposal (in my home, no less), I could not swing bars. It took me three years to learn a blind change (don’t worry if you have no idea what that is, just know that it should not take three years to learn. It shouldn’t take one, honestly). Do you know how many times my parents offered to work with me at home? Zero. I didn’t do conditioning at home, I didn’t stretch at home unless I was feeling weirdly motivated all on my own while I watched TV, the trampoline in our yard was used for sleepovers and games of add-on with my friends. My mom and dad never put on their uber-qualified coaches’ hats at home. And I loved them dearly for it. Gymnastics, despite being my own family’s very livelihood, was always my own. Every pointed toe, straightened leg, stuck beam routine, hard-fought bar workout was thanks to my own drive and the dedication of some very wonderful coaches (I would nominate Jason for sainthood if I could). Did my parents coach me at the gym? Yes, whenever they were coaching my entire team. I was never given preferential treatment (unless you count being the guinea pig for teaching coaches how to spot, which I don’t because it’s terrifying). As a result, I was able to take full ownership of my gymnastics. And my parents were able to sit back and enjoy my sport as spectators in a way they never could otherwise. They had no claim on my performance because they recognized that it was mine. It’s hard to do. As parents we want our children to excel and when we feel we can help them, it’s in our nature to offer that help. I’m sure my own parents struggled with it. How could they not have? But I also know that if they had taken me aside and worked on their own agenda with my sport, they would have undermined my coaches and my own drive to be the best I could. I would wonder when my coach gave me a correction if my parents would have given the same correction. I would have worried that I disappointed them if I made a mistake that they had specifically fixed at home. It would have very slowly chipped away at the joy I found in my sport. My parents loved watching me do gymnastics because I loved it, not because I was the best. Not because I was great at it, but because they loved me enough to let me have it for myself. So, parents, every time you find yourself wanting to make a correction or work on a drill you’ve seen that you could easily do at home, stop yourself and remember that even if you’re the most qualified parent in the world, you cannot love your child’s sport for them. Before I had kids, I was asked frequently (by people who knew my gymnastics background, at least) if I wanted my future daughters to be gymnasts. I have a relatively lengthy response to this that really boils down to: yes, if they wanted to be gymnasts, I would be thrilled. Since having my three children I have, unsurprisingly, not once been asked this question. Why? Because I have three sons. No one even bothers to ask if I want them to be gymnasts because they’re boys; obviously, they’ll play soccer or football or baseball. Completely disregarding the fact that they would be third generation gymnasts with a grandfather who received a college education thanks to a gymnastics scholarship. When did we decide gymnastics was a girls’ sport? 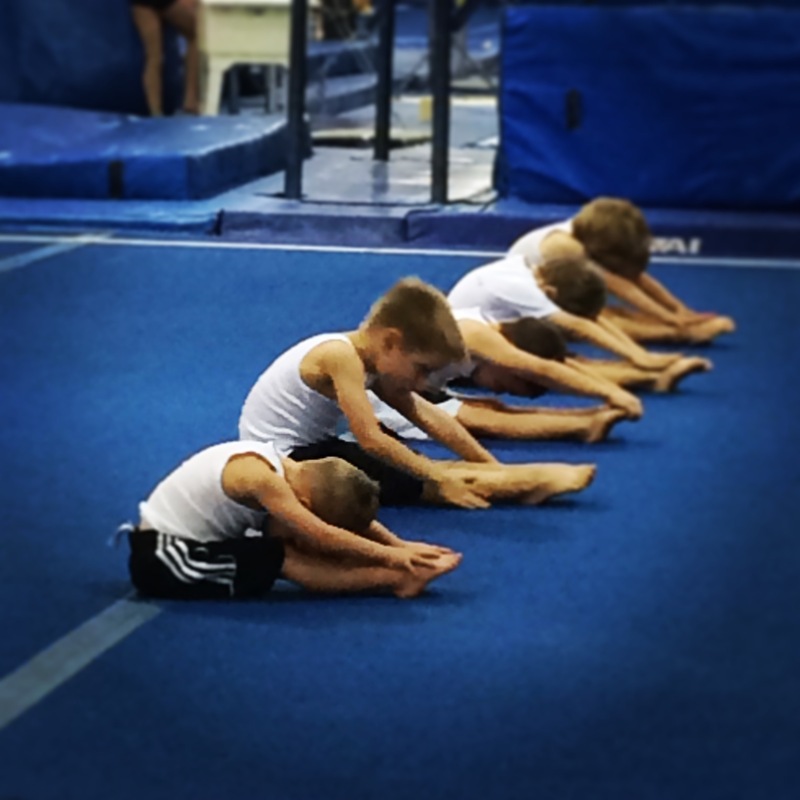 I’ve had several conversations with mothers of sons who are reluctant to put their sons in gymnastics. Not because of the long hours, or potential injuries, but because what if he likes it? What if that becomes his sport and he’s suddenly a gymnast? Okay, no one actually says that, but the implication is pretty heavy. Most of these moms have sons who are toddlers – 3, 4, 5 years old. I want to ask them what sport they did as a three-year-old that they actually continued into adolescence. Then again, we are now inundated with early specialization for our kids. If you want to be great at a sport, we’re led to believe you have to start it as a preschooler and stick with it through high school. While this can be true, it also does not mean that the sport your son is in now will be the sport that sticks with him throughout his life. In fact, please, for the love, do not let my sons continue soccer, baseball, track, and gymnastics all the way through high school; I will have to hire chauffeurs. Lastly, I pose the question: what’s wrong with your son being a gymnast? Gymnastics takes hard work, serious discipline, problem solving, learning to overcome fear, the list goes on and on. It’s an Olympic sport. It can earn your son a college scholarship. It’s well respected by athletes from other sports. Also, have you seen those muscles? So to all those parents who are reluctant, I say put your son in gymnastics. He will quickly become coordinated, strong, and physically capable of more than you thought possible. (Just this week I watched my six-year-old do fifty sit-ups and twenty push-ups in our living room with better form than most grown men.) Otherwise, he might just be the little boy who is seriously outdone in a pull-up contest on the playground by that tiny girl in his class. Two of my sons stretching in their boys’ pre-team class. Compulsory season is well under way. Even if this is your first season on the competitive scene, you’re probably a pro at spending four hours at a gymnastics club to watch your daughter for a total of maybe five minutes of gymnastics. (It’s sounds awful, but it’s weirdly exciting, isn’t it? It is, you know it is.) You have the snacks, the cushions to sit on, the prepared answer when she inevitably asks for a new leotard or t-shirt or gym bag that’s on display. You are old hat at this. Well, in case you didn’t know, there’s a whole lot going on behind the scenes (actually it’s right in front of you because it’s a completely open gymnasium, you just don’t know it’s happening). Every meet is a brand new situation and no matter how hard your coaches try to prepare your daughter for every possibility, there are always variables you, as the parent, will never see. As a coach, showing up at a meet means being prepared to think on your feet, make split-second decisions, and handle every possible outcome with your athletes and team. For starters, there is determining the line-up. Yes, even gymnastics has a line-up. Every gym does this differently, but at ours I know that the first kid up on each event is the most consistent, steady gymnast they’ve got. It’s a huge compliment to be put first because it means the coaches trust you enough to hit your routine and lay the groundwork for your teammates. But what if your most consistent gymnast had a terrible warm up? Or had a really rough week at practice? Who do you put first? Do you trust that she’ll handle the pressure when the time comes or do you pass that torch to someone else? Next comes the equipment. Most people who have never participated in the sport don’t give much thought to the equipment the girls compete on. Trust me, the gymnasts do. Every gymnast is used to the way the floor bounces at her gym. The bars are chalked up just the way she’s used to on her home turf. And sure every beam is four inches wide, but there is always that meet with that beam she could swear is only 3-and-a-half inches wide… and why on earth is it bouncy? I was a level 9, vault was our first event, and I did not manage a single practice vault that did not land on my face. Naturally, my grandparents had driven all the way from Colorado and brought along a family friend to witness this equipment freak out. Competition began and it was not pretty. Jason, my saint-like coach, decided it would be wise to stand there for my vault in case he needed to save my life (a split-second decision I was grateful for later), something he’d never needed to do in a meet before. My vault was a tsukahara (you don’t need to know what that is, just know it involves a back flip). I landed the first one on my face after my hands slid off the vault the same second they touched it. My second vault was worse considering I missed my hands entirely and I’m pretty sure Jason was the only reason I even made it to my face instead of the top of my head. It was ugly. So ugly I got a zero and the judges actually apologized to me. Apologized. (I’ve never heard of that happening before.) Because your skill does not count as a skill if your head lands before your feet. Oh. Right. My point is this, there’s a lot going on at a meet, and a whole lot of nerves on top of it. Gymnasts are superstitious, and creatures of habit, and the smallest things can throw off an entire meet. It doesn’t always make sense (a cloth vault should not a disaster make), but it’s reality for your gymnast and her coaches. A certain brand of equipment will throw her off kilter, a certain judge will always make her extra nervous, competing right after a certain teammate will make her doubt herself. These are the minutiae of gymnastics and, for better or worse, we love it. So take every meet as it comes, knowing there’s always the next meet to fix a botched one, or even a next season to redeem herself. Learning to compete well takes time; help your gymnast enjoy it by enjoying the spectacle as a parent. And it’s okay to laugh when your daughter completely forgets to salute the judge and has to run back onto the floor to do it. Me, as a level 9. Just to complete the embarrassment. What has surprised you the most about this competition season? Miss Sydney Barfield, 7-year-old rock star. This was a Facebook post today from a friend of mine, Luke Barfield. Luke and his wife, Trisha, own Colorado Aerials East gym, and watching them cultivate their own club, sharing their special brand of positivity with new generations of gymnasts has been amazing to watch. But this post isn’t about that. Sydney is Luke’s daughter, a bright 7-year-old who will be competing her first gymnastics season next spring on their Xcel team. And this day, the day she crushed some over-confident boy at school who assumed she wouldn’t be stronger than him by virtue of the fact that she’s a girl, will stay with her forever. One of the greatest gifts gymnastics gave me was a supreme confidence in my abilities as a girl. Having talked about this topic with several of my girlfriends who were also gymnasts, I know they feel the same. Being a girl is hard, and to me it feels like only recently have we tried to look at why. Always, a company that certainly knows a thing or two about being a girl, recently started a campaign to turn the tables on the age-old insult “like a girl,” hoping to show girls that doing something like a girl is empowering, not demeaning. When I was in elementary school (and middle school, actually) the Presidential Fitness Test was still the yearly bane of most kids’ existence. I, on the other hand, loved the day we had to do this dreaded test. Sit-ups, shuttle run, a pike reach, mile run, and pull-ups. Every year, without fail, a boy in my class would bet me I couldn’t do more pull-ups than him. Every year, that boy was put to shame. Thank you gymnastics, indeed. As far as I know, they no longer keep track of these things at schools, but as of high school, I still held the record for pull-ups at my elementary school. I set that record in first grade. It gave me a confidence in my abilities that has yet to leave me. (I also have an absurdly competitive nature, so thanks for that, too, Dad.) My husband is a bit of a fitness buff himself, has been his whole life, and he still recalls being beat by Jamie McCalley at pull-ups in elementary school. She was the only person, and a girl to boot, who could beat him (ironically, Jamie was a teammate of mine at the time). As a boy, it taught him not to underestimate a girl’s strength just because she looks a certain way, or just because she’s a girl. My mom was recently working with a group of high school boys on acrobatics for a stage production she helps to produce. They were at the gym, training to do aerial straps, and the boys couldn’t help but watch the tiny, little team girls climbing the rope all the way up to the ceiling while holding their legs in a pike to the side of the rope. None of them could do it even using their feet. Girls are fierce and girls are capable and girls are strong. Gymnastics teaches its participants these facts at an early age, simply because it’s a requirement. You can’t physically do gymnastics without being able to hold your own body weight on your hands, or pull it up to a bar, or whip it over your head. If you are a gymnast, you are strong, and you know it. That knowledge, especially as an adolescent girl, makes you carry yourself differently. It helps you hold your head a little higher in the halls at school, it makes you grin at the thought of any strength challenge in P.E., it gives you the absolute knowledge that you are just as capable as any boy your age. It’s priceless and that knowledge of what you’re capable of never leaves you. Recently Kacy Catanzaro made headlines across the country for being the first woman to complete the qualifying round of American Ninja Warrior, a physical fitness challenge that undeniably favors tall men with superior upper body strength. She wanted to prove to everyone that women shouldn’t be counted out of a challenge that clearly isn’t in their favor. Unsurprisingly, Kacy used to be a gymnast. Gymnastics gives you a physical and mental strength that will give you confidence in the years when it’s hardest to find. It will teach you that being a girl means being fast, being strong, being capable of any challenge. So yes, thank you, gymnastics. Tell me, what are you proud of doing like a girl? You might be one of those “got it together, I have all my kids’ snacks for the week planned and ready to go” moms. Or not. And that’s okay too. I can’t count how many times I took my kids straight from school to an athletic practice and had to grab power bars (that was about my only option back in those days) for a much needed snack. Or, tried to find an alternative, energy packed treat to get them through a gymnastics meet, swim meet or soccer game. 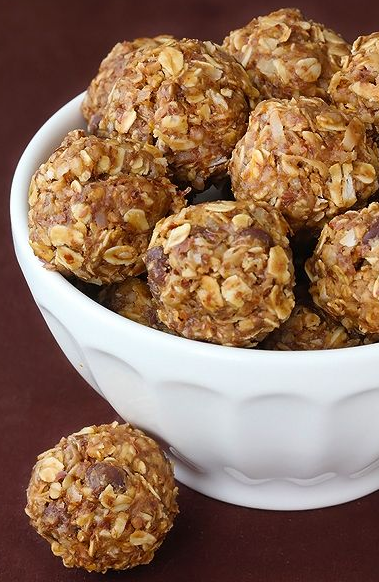 Here is a super healthful, no-bake treat, packed full of sweet goodness. It’s quick and easy to make, or get the kids involved and let them mix to their heart’s content. Double the recipe, throw in the fridge for up to a week and you’ll feel like you’ve got it together too. Mix the following ingredients together in a large bowl. Roll into 1 inch balls and store in a container or freezer bag in the fridge for up to a week…but they probably won’t last that long. There is a lot of freedom with ingredients in the Nuts & Seeds and Fun Stuff portion of this recipe. Get creative. It’s definitely a “hard to mess up” recipe.